So you finally got the big-screen TV you longed for and you’ve arranged your media room’s seating for maximum accommodation and comfort as you take in your favorite shows, movies, and sports. Shouldn’t your entertainment furniture be just as well made without costing you a mint? 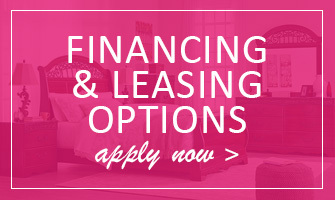 We at Flamingo Furniture think so. Need to upgrade? Yes, you CAN afford the GREAT entertainment furniture you REALLY want in order to transform your TV room into the experience you’ve always desired: a home theater, for instance. Why keep putting it off? Here are only a few examples of how we will make it happen for you and for a mere fraction of what you thought it would cost! 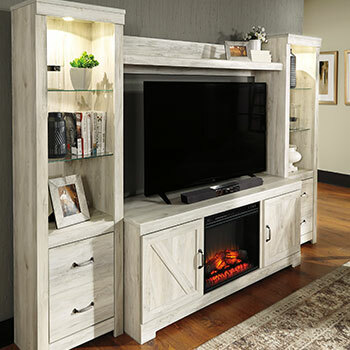 Flamingo Furniture’s offerings to house your TV range from sleek, simple tables or shelves in wood or glass to handsome midsize TV consoles to complete entertainment center wall units in a variety of styles to fit any home’s decor from colonial to space age to contemporary. 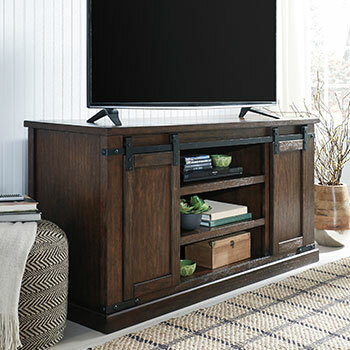 Our media centers even blend into TV rooms with a rustic motif! 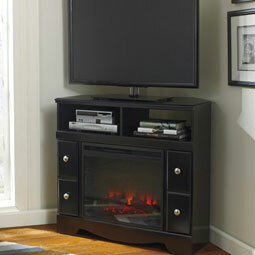 For tricky floor plans, one of our convenient corner TV consoles will work perfectly, even holding a big TV safely. 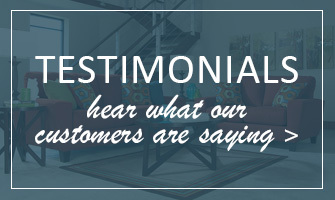 If you miss having a traditional fireplace but not the upkeep or safety hazard, at Flamingo Furniture you CAN go home again. 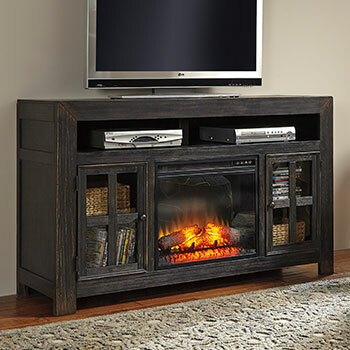 Many of our entertainment furniture pieces come with a warm (heat you can turn on) and completely safe fireplace insert with LED technology, also sold separately if you need it. Or if you’d rather enhance your TV’s sound, use that space in your new furniture for one of our state-of-the-art integrated audio units. 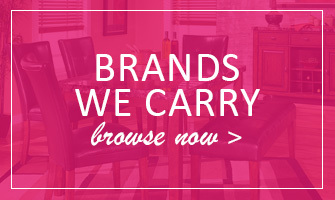 When it comes to affordable entertainment furniture, we simply will not be beat. When you want to make your TV room the pride of the neighborhood, count on the pros at outfitting Brooklyn and Staten Island with the last word in entertainment furniture. Check out the links on this page and then stop by our Brooklyn, NY store soon!